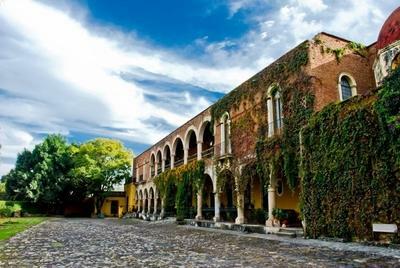 Hacienda Del Carmen is a charming hotel ideal for anyone who wants to relax, enjoy nature and forget the hassle of everyday life. Its unusual architecture and gardens make it a magical place, concerned about the environment. It is also a place full of history very preservative.Each room is equipped with period furniture but also has all the comfort and all the modernity necessary for a pleasant stay.The domain also proposes to host your events: meetings, birthdays, baptisms ..The hotel also has a spa that will allow you to find peace in an absolute comfort where the staff will be devoted to you.A stay in this property will be placed under the sign of peace and discovery since the geographical position of the Hotel will allow you to discover the "Ruta del Tequila" as well as the archaeological zone Guachimontones.